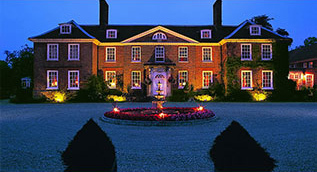 School leavers - Considering a career in hospitality? Have the desire to succeed and are not scared of hard work? Good news! Excellent career prospects and a huge range of job roles await you! As a trainee with Concord Hotels, you get to learn all aspects of hotel operations over a two-year training period in four different top-class hotels. First though, you will need to gain some qualifications, so visit your local college and they will be able to advise you. We accept graduates with a BTEC Level 3 in Hospitality Supervision or an NVQ/VRQ hospitality craft course. Good luck and we look forward to receiving your application in a couple of years’ time. 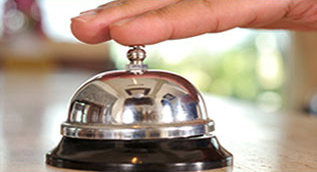 Concord Hotels can offer you an excellent opportunity to further your career in the hospitality industry. If you have completed BTEC Level 3 in Hospitality Supervision or an NVQ/VRQ hospitality craft course, then you are eligible to apply. Submit an enquiry or apply now by downloading and completing an application form. Glen Harrison, the Group Training Officer, visits colleges across the UK to talk about the opportunities with Concord Hotels. If you have not yet seen Glen, speak to your lecturer and ask them to make contact to arrange a visit. Please note, Concord Hotels accepts applications from students across all European Union countries. You must have a hospitality qualification, a good command of the English language and be permitted to live and work in the UK. Interviews take place between January and June and various start dates are available. Places are limited and demand is high so you are advised to apply early. Please download our membership pack for full information on how to join Concord Hotels as a Member Hotel. You can also email us for more information on becoming a member. Please press Contact Us below.